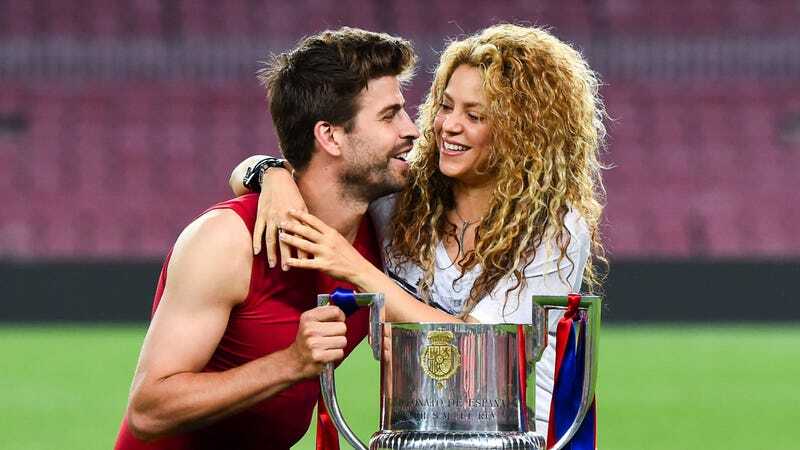 Rumors persist that Shakira and Gerard Piqué, Shakira’s longtime hot boyfriend and baby daddy (also a famous soccer star) have broken up. This has been going on since the summer months, during which they didn’t post any photos together, prompting Piqué to post an Instagram pic of the back of the heads of two boys and a woman labelled “@shakira” with “#Sunday family time!” to seemingly prove otherwise. A source tells US Weekly that it’s not true, but they reportedly haven’t been seen out together in months. Multiple outlets are reporting rumors that one of the two has moved out of their home in Barcelona. Watch Shakira skydive in heels and fire extinguish a hotel room in their “Me Enamoré” couple’s video and light a candle. Victoria Beckham lies. No child likes grain treats, per the outrageous claims on her Instagram sponcon. Where are the tasty marshmallows which help children grow large?